Thinking about booking a fishing charter in the coming weeks? It’s a good season for lots of different fish, and The Triple Trouble has the perfect charter for you, no matter what you’re looking to catch. The fall season is typically when people fish for redfish, sailfish, flounder, grouper, beeliners, mahi and white marlin – it all depends on where you’re fishing and how long you plan to spend out at sea. 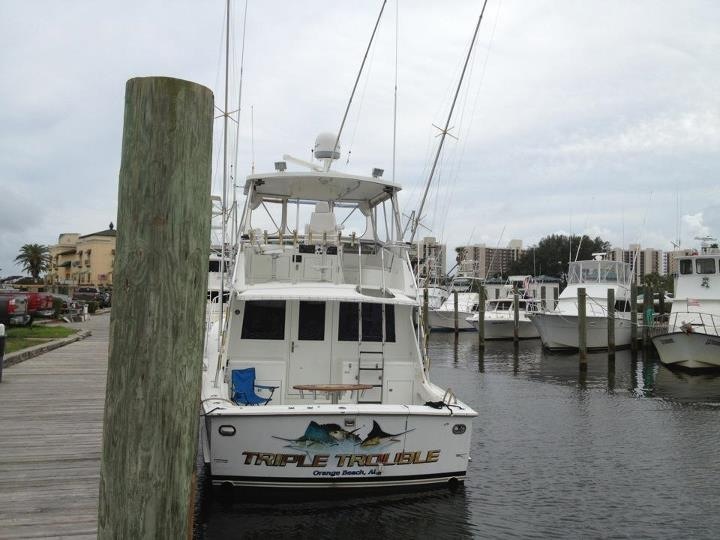 The Triple Trouble offers a number of charter options for fishermen and women who are planning to book a trip in the coming weeks and months. There are trips that vary in length from four to 12 hours, as well as our special overnight package. With the four-, five- and six-hour trolling and bottom fishing trips, customers can enjoy being out on the open ocean, cruising at a nice speed, and hopefully a couple of good catches. The longer eight-, 10- and 12-hour charters – as well as the overnight trips – offer folks a greater chance to be successful. With more time to motor out to desirable fishing areas or move to where the fish are biting better, longer charters give guests the best possible shot at a successful fishing trip. A four-hour trip is generally strictly trolling, and often nets Spanish and king mackerel as well as jack crevalle. On five-hour trips, guests can also engage in bottom fishing and chase after red and white snapper, triggerfish and beeliners. Trips longer than six hours are perfect for the advanced fisherman, and give anglers an opportunity to chase amberjack, grouper, triggerfish and wahoo. Luck and patience always plays a big part in fishing, so we encourage guests to book the longest trip they can. More time equals more fishing, and more opportunities to land that prized catch on the open waters. While it’s always possible to catch a remarkable fish on the first cast, spending more time aboard will pay off in a higher quantity and quality of catches. A fishing license is not required to book one of our charters, and our staff will gladly assist you in the cleaning of your fish for an additional fee. The costs listed on our website include the use of all rods, reels, bait and tackle. What are you waiting for? Call Capt. Chad at 256-431-5767 or send him an email today to book your charter and catch a fantastic time in the Gulf of Mexico!